Trade paper -- 336 pp. 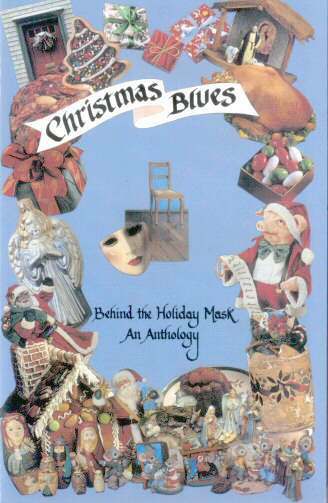 Short stories, poetry, and essays explore the down side of the holiday season. Some whimsical, some bitter, some using humor and satire -- all taking a clear honest look at traditions, memories, dysfunctional family life, cultural alienation, and the commercialization of the mythology of Christmas. [This] is more like what we needed than what we wanted for Christmas. Despite the diversity in stories and poems, there was not a one that felt so alien that it could not have also been my own. In telling their personal histories through story and poem, the contributors give us back and help us reclaim our own. I cannot think of anyone who, if able to read superb English, should not read this book. It is an immensely healing work. I laughed, I cried, I was often touched, I was sometimes depressed and occasionally disgusted, but I was always absorbed as I read this charming anthology. I knew I would be recommending it to clients, to friends, or to anyone who has ever experienced that disgruntled feeling during the Holidays.